This was the first bottle of whisky over $100 USD that I've ever purchased (year 2012) and I still remember tasting it like it was yesterday. An absolutely classic, and a bottle that I've recommended to a number of people as something they should try as they begin their journey through the whisky world. Back when I first started drinking, this was the perfect ABV. Nowadays, I wish this was closer to 50%. First of all: Now you get it for less than 100EUR and that's where it belongs. A wonderful standard that should not be missing in any shelf. In my early days he had completely blown me away. But today I realize that he can not get over 90 anymore. But still, house whisky. 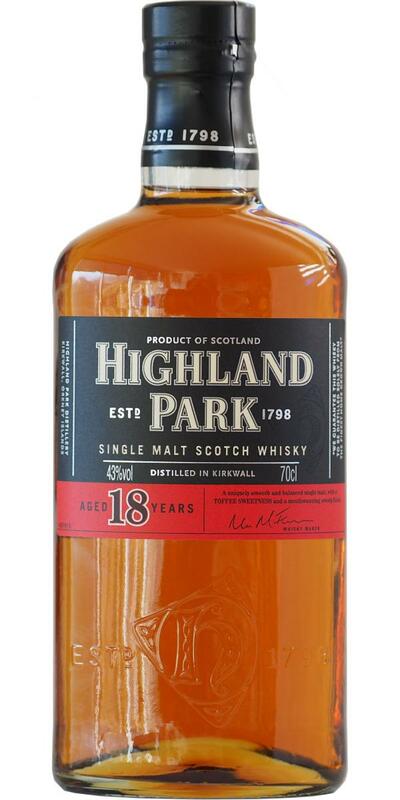 Sweet oak, light smoke, sweet nuts and very fruity with oranges and peaches he sets off. It takes time and only makes it better. Balanced and sweet, it promises bananas and mild honey in the nose. Salty sweet malt with caramel and brown sugar. Very good mouthfeel with a supple oily body at a high level makes him play the muscles. Is it almonds or hazelnuts is not clear but the interaction of everything makes the experience! Well done. Rather long and wonderfully complex. Unexpectedly sweet, the oak remains on the palate without becoming woody or bitter. Class finish. Very warm and smooth he slides off the stage! There comes joy. Refill is announced. Not for everyday, because one should not waste it. But outstanding stuff.